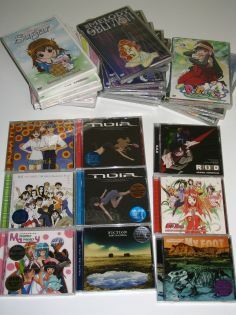 100 dollars of Geneon merchandise. Oh hey, my 25 Geneon items from that recent RightStuf.com sale arrived. 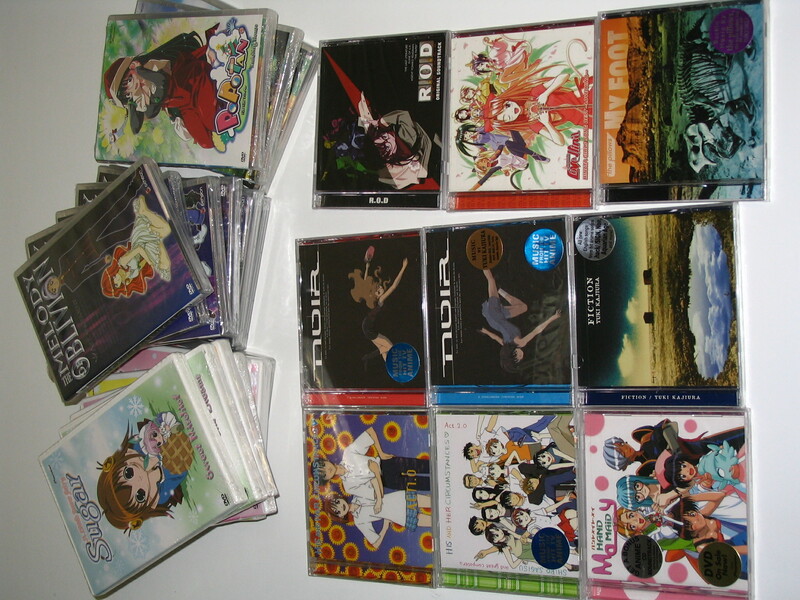 As you can see: Seven A Little Snow Fairy Sugar DVDs, three Popotan DVDs, six The Melody of Oblivion DVDs, and nine CDs. If anything, it'll give me an excuse to start talking about The Melody of Oblivion again. 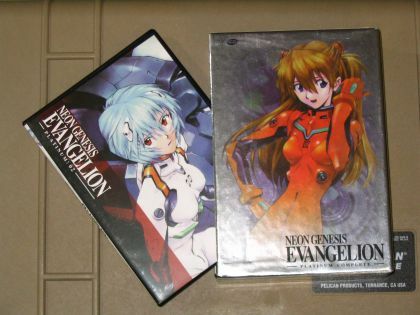 Evangelion Platimum Edition DVDs boxed set. Holy crap, the Platinum Edition of the Neon Genesis Evangelion DVDs (ADV's version of the digitally remastered Renewal discs) is down to $33.87. I can vouch for the quality of these discs. 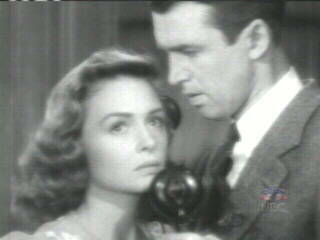 As someone who owns both the Platinum Edition and the older so-called "Perfect Edition," the Platinum version is vastly superior in every respect.